The 2018 Jeep® Wrangler JK has been the face of the iconic Jeep brand for many decades. This is due mostly to its unwavering, outstanding off-road capabilities. While the Wrangler has always been a force to be reckoned with when it comes to off-road adventures, the modern-day Wrangler JK is also loaded with many popular amenities. 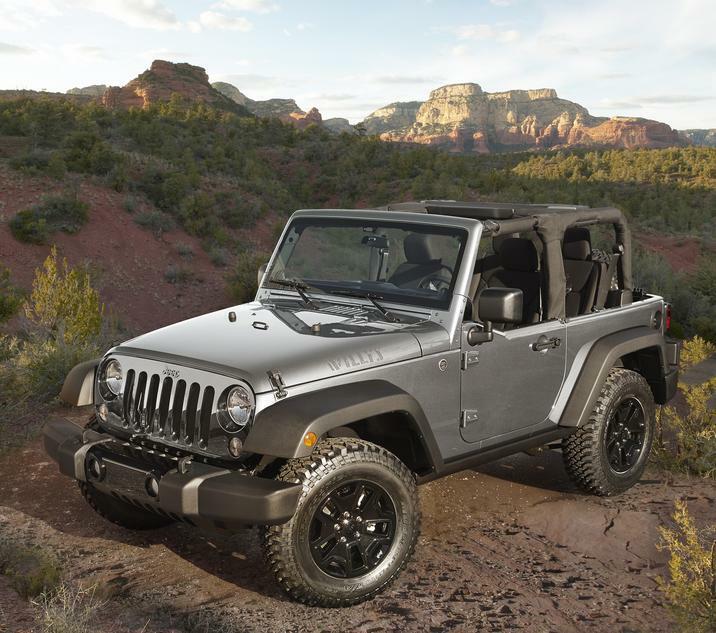 Cassens and Sons Chrysler Dodge Jeep Ram is the premier dealership to find a new 2018 Jeep Wrangler JK for sale in Glen Carbon, IL, and near Edwardsville, IL. Our knowledgeable staff is here six days a week, ready to assist when you come in and test drive a 2018 Jeep Wrangler JK near Belleville, IL and near Florissant, MO. Along with a professional in-house finance department, you will also find a well-stocked lot full of 2018 Jeep Wrangler JK inventory near Belleville, IL. You will find that the 2018 Jeep Wrangler JK comes with many choices when it comes to the configuration of your new vehicle. 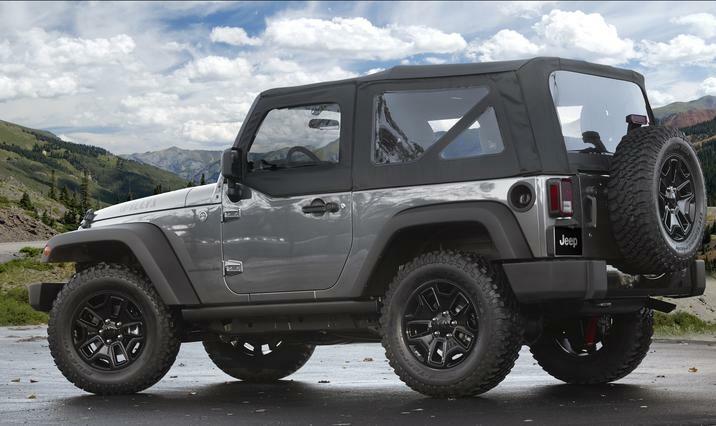 The classic Sunrider® black soft top is standard equipment on the Wrangler JK. However, you do have the choice of upgrading to the optional Freedom Top® 3-piece hard top. Each JK comes with full-metal doors with roll-up glass windows. You decide between the standard two-door and the available four-door option. There are also a bevy of standard features included, such as steering wheel-mounted audio controls, halogen headlamps, and fog lamps. You may wish to add some bling to the exterior by choosing one of the many offered packages. One such package is the Chrome Edition Group that includes a chrome fuel filler door, chrome tail lamp guards and a chrome exhaust tip. Your dream 2018 Jeep Wrangler JK in Glen Carbon, IL is waiting for you, right here at Cassens and Sons Chrysler Dodge Jeep Ram! Once you slip behind the wheel of the 2018 Jeep Wrangler JK, you will quickly discover it is amply powered by the awesome and award-winning 3.6-liter Pentastar® V6 engine. This robust engine easily achieves up to 285 horsepower and 260 lb.-ft. of torque, which gives this Jeep the ability to tow up to 3,500 pounds. This impressive engine mates with either a standard six-speed manual transmission, or an available five-speed automatic transmission. The extreme off-road ability of the 2018 Jeep Wrangler JK is provided by the standard-issued technology of the Command-Trac® shift-on-the-fly, part time 4WD system. The great team here at Cassens and Sons Chrysler Dodge Jeep Ram in Glen Carbon, IL are standing by to put you behind the wheel of your very own adventure vehicle.